On Sunday the 18th, one of the kickoff early games is between two interesting stories right now in the Cincinnati Bengals, who are fighting to get back into the playoffs after an impressive year last year, and the Kansas City Chiefs who are simply struggling badly right now. The Bengals are fresh off of a huge win against the NFC East leading New York Giants in which they simply did everything and went on to win 31-13. A crazy good showing for a Bengals team who had a ton of questions surrounding them, and needed that win in order to avoid dropping to the dreaded 3-6. They are now 4-5 and are trying to keep pace in a strong AFC North that features the Baltimore Ravens and the Pittsburgh Steelers ahead of them. The Chiefs are simply playing for pride now, and it’s almost expected that both head coach Romeo Crennel and quarterback Matt Cassel won’t be holding their jobs next year, just like the team hasn’t held a regulation lead all year either. Bengals or Chiefs? Check out this top online book and make your bet now! The Bengals are on the road going into Arrowhead Stadium here, but the way that their offense has shown the potential of playing, an the fact that their defense is much improved should help out a lot against this struggling Chiefs’ team. The Bengals are going to look to get after Cassel, and also look to continue to work the awesome connection between two young stars in Andy Dalton and AJ Green. Both players are showing that they have the potential to be huge and to lead the Bengals back to the playoffs and possibly even further within the next few years. 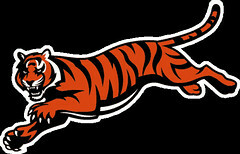 Bengals fans have to be happy about the direction of this team. 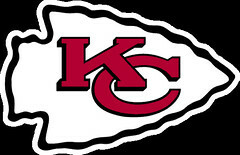 Lowly Chiefs Need a Win. Or Do They? For the Chiefs, they are looking more and more like they are ready to grab that number one pick in the upcoming NFL Draft. The Chiefs do have some talented players such as Jamaal Charles and Dwayne Bowe, and also have talent on defense, but it’s just not working. I think that the Chiefs need to focus on getting the ball into Charles’ hands quite a bit more than they currently are, because he is definitely their most electric player on the offensive side of the ball. If the Chiefs can control the tempo of the game and avoid turning the ball over they’ll have a shot on Sunday. Looking for great odds on this Sunday game? Check out this top sportsbook! The Chiefs are home underdogs at +3.5 in this game. I’m interested that this line is so low honestly, but the fact that the Bengals are on the road is definitely playing a fact in this. Either way though, I simply think that the Bengals are too talented to come off of a big win like the one they had against the Giants, and then just not show up against the struggling Chiefs. I think that Kansas City will keep it close thanks to their defense, but that the Bengals defense will make a big difference in this game. I’m going with the Bengals to not only win the game, but also to cover the spread of -3.5 and win the game by a touchdown!